experience with a proven track record of success ! and the excellent results we get for our clients ! Being arrested is a painful and traumatic experience. The Los Angeles DUI lawyers at Hoffman and Associates understand not only law, but the legal psychology of protecting each client's rights to the fullest. Hoffman and Associates is a Los Angeles based DUI, Hit and Run, and criminal defense firm. We strongly fight to protect our clients' legal rights and minimize and potential consequences. The courtroom attorneys at Hoffman & Associates have been practicing for over 30 years and have developed successful and effective strategies to protect each client. Our firm has represented over 10,000 clients facing charges similar to yours. Our clients have consistently awarded our attorneys with five star google ratings, not only for our legal knowledge and expertise, but also for the warmth, compassion and excellent communication. Hiring the right DUI lawyer in Los Angeles is the most important decision a client will make when needing to solve a legal problem. For more than 30 years our highly skilled team of courtroom lawyers have helped thousands of clients facing a variety of misdemeanor and felony charges. Our Los Angeles DUI lawyers successfully resolve all of our client's legal problems, whether it is a hit and run, DUI, theft, domestic violence or any other type of legal charges. We know how to fix it! Whether you have a serious case or a more minor charge, we can fix it. Whether you have a perfect record or have had previous legal problems…we can fix it. Hit and Run: Our attorneys are highly skilled in representing clients with vehicle code violations. Hit and Run cases are our specialty. 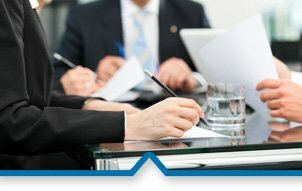 Our Los Angeles Hit and Run lawyers have developed a unique and very effective pre filing strategy which eliminates over 90% of criminal charges being filed. Avoiding charges being filed prevents clients from having to face the possibility of convictions, and the penalties that come with them, including a tarnish on your record, fines, probation and the possibility of jail time. We fight by using all of the necessary steps to dramatically increase the chances of avoiding a court case. DUI: Our Los Angeles DUI Attorneys have handled thousands of Driving Under the Influence of Alcohol/ Drugs cases in all of the Courts in Los Angeles County, Orange County and San Diego County, as well as other Southern California courthouses. We carefully scrutinize all the facts presented by the prosecution and expose any weaknesses of their case so that you have the best possibility of getting your case dismissed or reduced. Drug Possession and Sales: With the ever-changing laws in the area of drug possession and sales, it is vital to be represented by a law firm who stays at the cutting edge of any legal changes that are made. We are also well versed in alternate prosecution options including diversionary type programs leading to full dismissals of any charge. Unlawful Use of Handicap Stickers: Our attorneys have handled hundreds of people faced with being convicted of a misdemeanor for the unlawful use of a Handicap Placard. Regardless of the facts, we have created diversionary type programs that we use frequently to avoid conviction of this charge, and it's penalties. Our Criminal Defense Attorneys practicing in Los Angeles look for every opportunity to scrutinize any and all evidence being used in the prosecution of our client. We evaluate the relative strength or weakness of police work, scientific evidence, and any witness statements to determine whether it is potentially helpful or harmful. Each day our experienced and highly skilled attorneys walk into courtrooms in Los Angeles, Orange County, San Diego County and other Southern California Courts, prepared to fight to protect our client's rights, freedom and good record. This is our number one priority. Our lawyers fight tirelessly and hard for dismissals and plea bargains for both charge and sentence reductions regardless of the facts of the case. Longstanding and critically important relationships with judges, prosecutors and law enforcement officers open many doors to achieving excellent results for each of our clients. Defending thousands of clients in all Southern California Courts has earned our firm an excellent reputation in the legal community for its strong advocacy, yet compassionate and caring representation. Our attorneys also have a strong psychological understanding in both preparation and presentation of our client's cases. The powerful and strategic advantage over the majority of less experienced counsel, gives our clients the benefit of this insight. Knowing how a prosecutor or judge will view the facts of your case, including all evidence and witness statements, optimizes the effectiveness of the unique defense we use on each case. No one facing a legal problem could ever anticipate it happening. Our attorneys charge reasonable fees, especially considering the 30 plus years of courtroom experience we have. Because we are conscious of the current economic times, our firm has never charged any fee or interest for our payment plans and all major credit cards are accepted. Your investment in retaining our firm to defend you, can ensure that you get the best possible representation and result. Our Los Angeles DUI Attorneys understand that you have a busy life, and facing legal problems can be a very stressful and traumatic time. We can help reduce your stress by putting your legal problems under our care is the first step towards successfully resolving any problem. This will allow you to focus on the things that really matter in your life like work, and family. Call us today for your free phone or office consultation. Enjoy the convenience of speaking to one of our lawyers practicing DUI in Los Angeles directly. This gives you a unique opportunity to ask any questions you may have without any cost or obligation. We want you to feel one -hundred percent confident that you have found the right law firm. Our goal is to craft excellent solutions to each client we represent. I would highly recommend the Law Firm of Hoffman and Associates to anyone needing an aggressive and knowledgeable attorney! Our firm has over 30 years of daily courtroom experience. We are highly respective in the courts for our skillful and aggressive, yet caring representation. 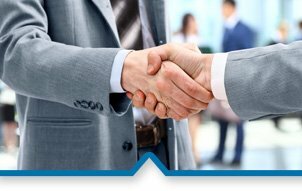 Our clients receive the benefits of our firm’s winning combination of strategic legal defense and outstanding customer service. track record of success ! In California, the criminal justice system can have harsh penalties with severe consequences for individuals convicted of a crime. A criminal conviction may result in fines, jail time, license suspension and damage to your reputation. At HOFFMAN & ASSOCIATES, we provide skillful and aggressive defense representation to clients facing criminal charges in Los Angeles, San Diego and the surrounding areas. We fight to protect our clients' freedom and good record. Our office has handled thousands of DUI & criminal cases. Can You Be Charged With Multiple Los Angeles Criminal Offenses Arising out of One Accident? Many people mistakenly believe that you can only be charged with one criminal offense arising out of one accident. Unfortunately, this is not true. Potential Consequences of a Los Angeles Hit and Run If you have been charged with a Los Angeles Hit and Run, it is important to remember that you have not been convicted of any crimes at this point.